A major health crisis. Every single year. Countries with high rates of malaria are among the world's most impoverished. Families suffering from malaria can only harvest 40% of what a healthy family can. As a result, they are poorer, hungrier, and sicker. Freedom from Hunger's programs offer women the financial services and education they need to combat malaria. 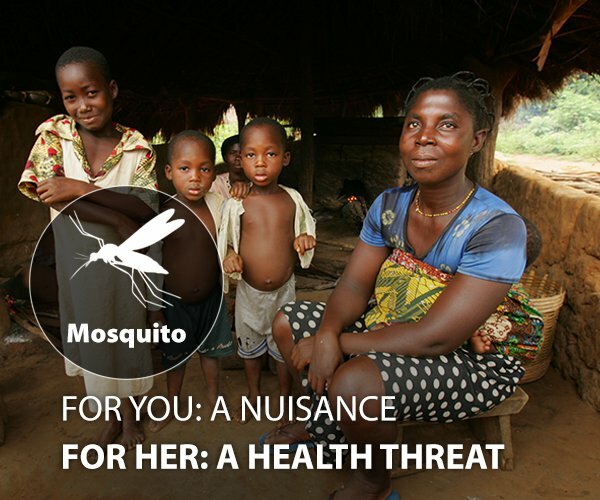 They learn how to prevent malaria and how to spot the signs and seek treatment. The women we serve have savings they can use to care for sick family members or feed their children during lean times, greatly improving their chances of surviving and recovering from the disease. 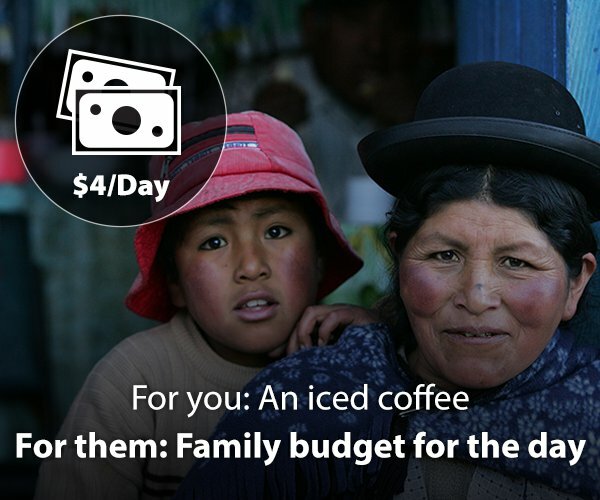 In Bolivia, over a quarter of the population lives on $4 a day or less. While family income often comes from a variety of sources, it is unreliable. This leaves families vulnerable to repeated cycles of chronic hunger and ill health when they are unable to buy enough food or cover medical costs. Freedom from Hunger's programs in Latin America provide women with access to loans and affordable health care plus education in how to run successful small businesses and how to turn the profits into healthy food for their families. Your support today can make a tremendous difference. In India, the cost of uniforms, school supplies, and transportation can be too much for many poor families. Girls in particular abandon their education when their families are financially stressed. While nearly all Indian children are enrolled in school, only 70% are actually able to attend on a given day. Freedom from Hunger's programs in India provide women tools and resources they need to improve their income. From loans to business education, the women we serve are better able to cope during hard times, feed their families, and keep their children in school. Share with your friends how Freedom from Hunger is helping women give their families hope for the future.